Grandma Cindy and me during our first trip to meet our eighth beautiful grandchild. First, there was a significant career. Not so long ago I would have introduced myself as the Chief Marketing Officer of a highly successful insurance carrier based in the northwest – the part of the country where I was born, raised and currently make my home in Sammamish, Washington. 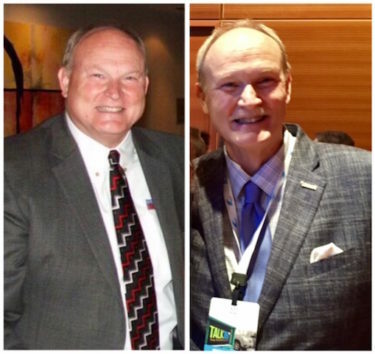 Back then, I would have told you about my nearly 45 years of marketing and advertising experience, award-winning campaigns, my leadership roles in the marketing industry, and the recognition I enjoyed along the way. There’s no doubt about it, I had an incredible career and happily “went to fun” nearly every day. It was the year of my 60th birthday – an unusual and landmark year in many ways. My wife, aka Grandma Cindy, recovering from two forms of cancer diagnosed two years earlier – was able to organize our entire family for a week of celebration that I’ll never forget. 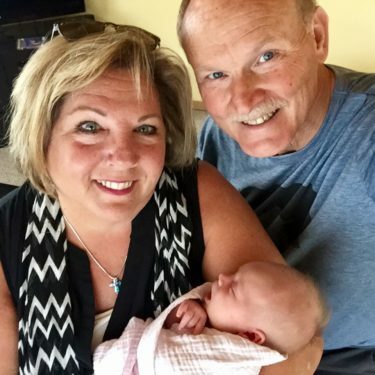 It was the first time that our blended family of seven children, their spouses and our six grandchildren had all been together under the same roof . . . Ever! That week helped me realize that I was chasing the wrong things. Already aware that three generations of our family had never met our grandpas, it became clear that for that to change, I would need to focus on my health, fitness, and priorities. Time became more important than money. I would need to work on me. I had become #TheGrandpaProject. And who am I now? As I approach my 65th birthday, I’ve retired from my corporate career, realizing that it’s more rewarding to climb ladders into treehouses and swing sets than all of the career ladders that I’ve been climbing for decades. And the rewards? The hugs and smiles I receive from my grandkids are longer lasting and more deeply appreciated than any of the recognition and awards I’ve ever received. Now, with nine beautiful grandchildren, my vision is to enableThe Grandpa Project to be something bigger than me. When I asked myself, “Why?” the answer came from my past and my future. A belief that every child deserves to know, learn from, and be loved by their grandpa. My name is Rod and my grandchildren call me Grandpa Brooks. 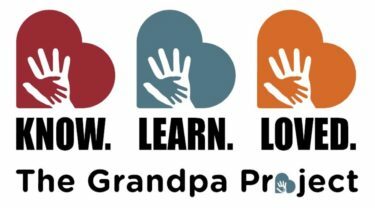 I created The Grandpa Project for all of us. Do you have a grandpa story to share? Thanks for stopping by. We'd like to know you better and hope to hear from you. You can reach us anytime with one click of the button below. Thanks for visiting The Grandpa Project!